Data from Urbanation indicated that Toronto condo rent rates increased by 7.6% on an annual basis to reach an average of $2,385 in Q3 2018, and by 17% for newly available purpose-built units. Long considered a haven for the city’s affordability seekers, the rental market is becoming less friendly to all but the wealthiest families. A scarce supply of rental units is not helping matters, with Toronto’s apartment vacancy rate currently around 0.5%. “Homelessness is growing, couch-surfing is growing and this will have a lot of pressure on families and on the city itself,” according to Alejandra Ruiz Vargas of the low-and-moderate-income advocacy group Association of Community Organizations for Reform Now Canada. 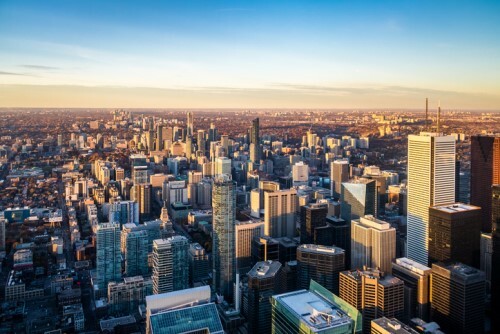 Not even a seemingly healthy number of housing starts is enough, as a recent study by Altus Group Ltd. reported that the pace of rental units entering the market is not enough to accommodate Toronto’s influx of 17,000 new renter households a year. The condo completion rate has nearly reached a 5-year low of around 10,000 units. Also, only 11,620 new units across 60 purpose-built rental buildings were built since 2005.